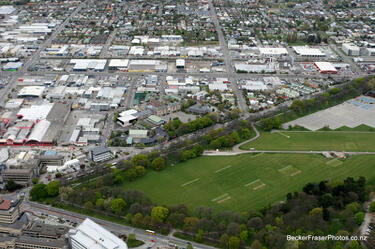 Photograph captioned by BeckerFraserPhotos, "South Hagley Park with the hospital at bottom left". 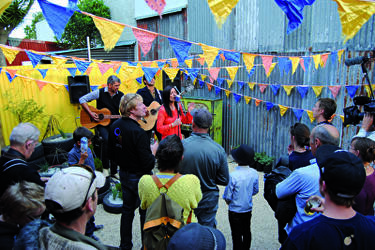 A photograph of a band performing at the Outdoor Music Room. 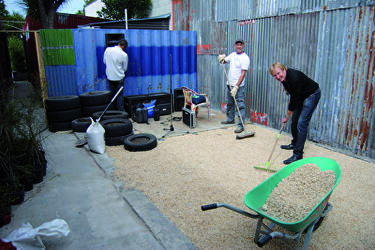 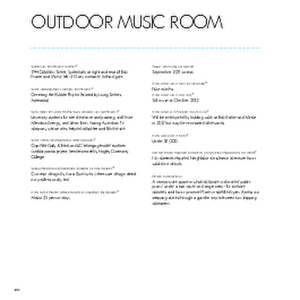 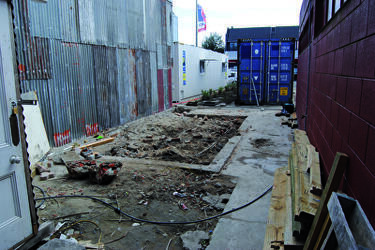 A photograph of volunteers creating the Outdoor Music Room.